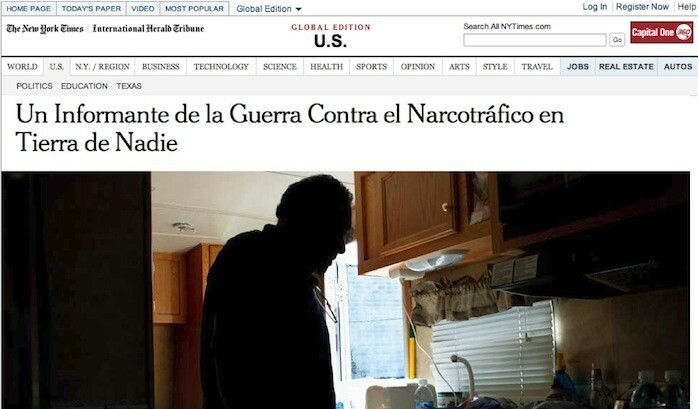 This investigative project ran in Spanish online, with a “Read in English” link underneath the photo of a Mexican informant. The New York Times on Monday published an investigative project in both English and Spanish. 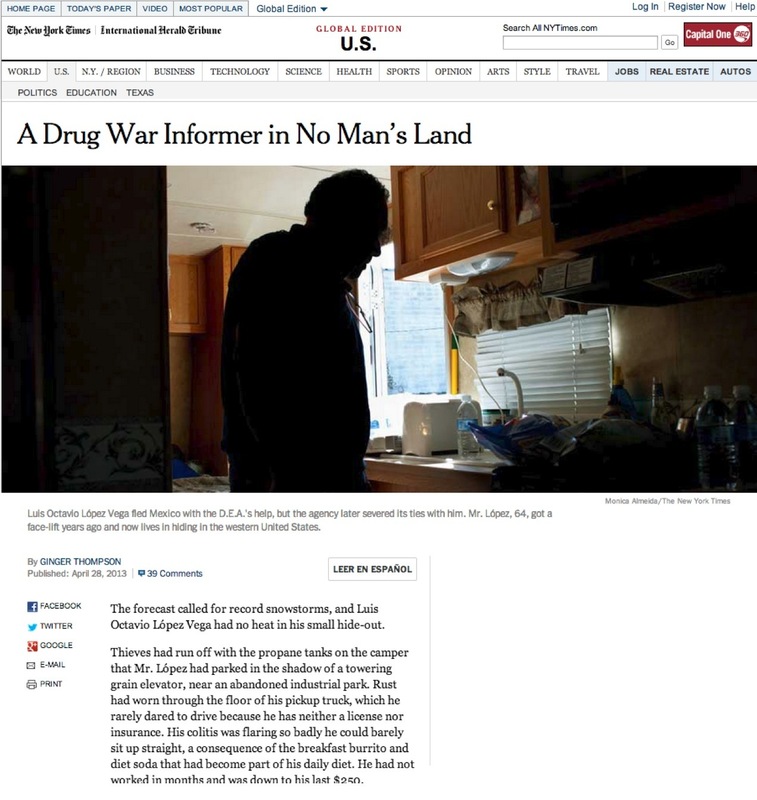 “A Drug War Informer in No Man’s Land,” about a former Mexican police chief turned DEA informant abandoned by the U.S. government after he provided information that linked Mexico’s military to drug cartels, ran in yesterday’s print and online editions. 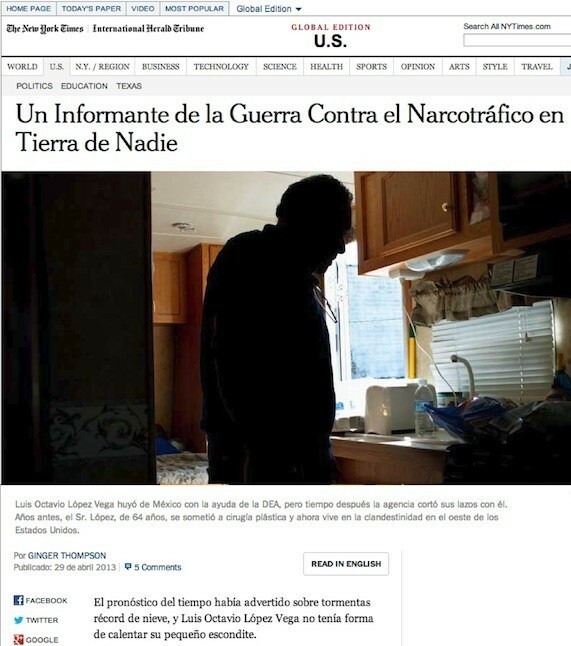 “Un Informante de la Guerra Contra el Narcotráfico en Tierra de Nadie,” only ran online, but it marks a first for the NYT. 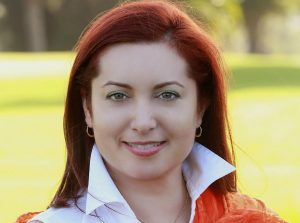 Investigations editor Christine Kay came up with the idea. “I was surprised the paper had never run a story in Spanish prior to this,” she says. “Ginger Thompson’s stories on Latin America often are translated and run on the front pages of papers there. So we thought, why not provide a Spanish-language version of her story and drive readers to our own site instead. 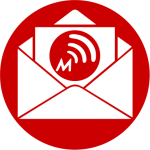 We are interested to see how much traffic the Spanish version gets. Correction 5/2/13: When this story was published on Tuesday, it stated that it was “the first time in its history” that the NYT published a story in Spanish. That was the investigation editor’s belief. 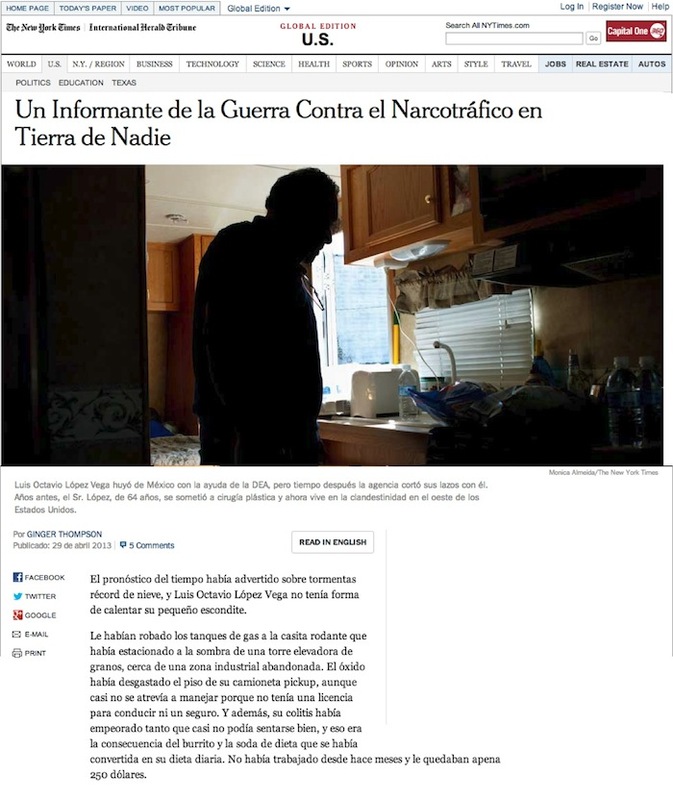 In the English version that ran online, a “Leer en Español” link allows readers to view the Spanish version of the investigative story. A 2011 series on immigration by Damien Cave: http://www.nytimes.com/2011/07/07/world/americas/immigration-en-espanol.html.